The rooms listed below have been blocked for conference participants from 22 to 25 September 2019. To get the pre-negotiated rate, please fill in the PDF booking form below and send it to incoming@ltm-leipzig.de, fax it to +49 341 7104251, or phone +49 341 7104275 by 19 July 2019. An additional guest tax of 3 euros per night applies. 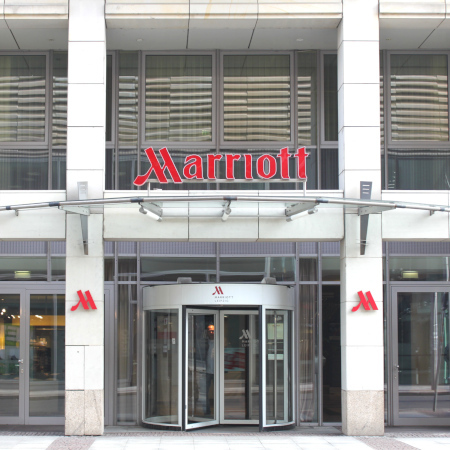 The Leipzig Mariott Hotel is located in the city centre, just a few minutes’ walk from Leipzig’s famous main station. It’s a great starting point for exploring attractions such as Leipzig Zoo, St. Thomas Church or the Leipzig Museum of Fine Arts. The hotel offers friendly service, a pleasant atmosphere and spacious, comfortable rooms with marble bathrooms, flat-screen TVs and free Wi-Fi. Its wide range of amenities (e.g. 24-hour fitness facilities and indoor pool) will help you unwind after a busy conference day. 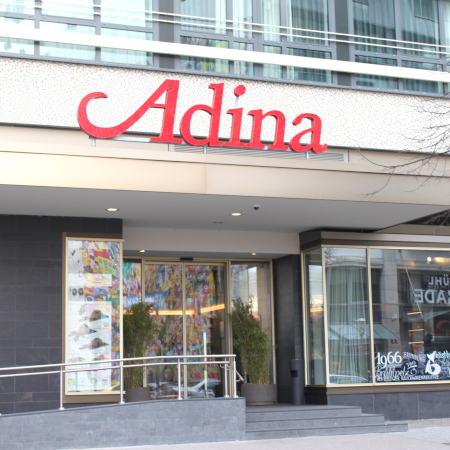 The Adina Apartment Hotel is within walking distance of the main station, the city hall and Leipzig University’s main campus at Augustusplatz. It provides comfortable, elegantly furnished apartments featuring a fully-equipped kitchen. Guests also have free access to the hotel’s gym, sauna, and indoor pool. 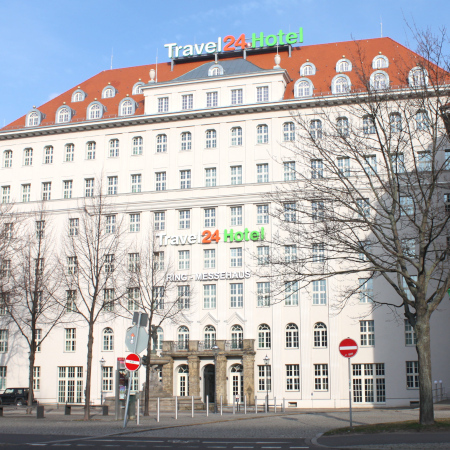 The Travel 24 Hotel only opened in 2017 and is located within what used to be the city’s largest trade fair building. Thanks to its central location, it’s ideal for business travellers and city hoppers alike. All the rooms feature air conditioning and heating, soundproofed windows, flat-screen TVs, free Wi-Fi, and trendy furnishings. There are many tourist attractions, restaurants, bars, cafés and shops in walking distance. The renowned Leipzig Zoo, in particular, is close by. Guests may check in at any time (24-hour reception). 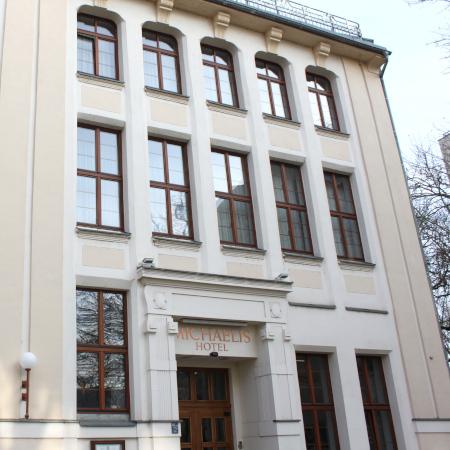 Hotel Michaelis, one of Leipzig’s first-class hotels, is located in the famous Südvorstadt, south of the city centre. The popular Karl-Liebknecht-Straße is right at your doorstep. Besides its elegant interior, the hotel is known for its friendly service and exclusive atmosphere. Unwind in one of the uniquely furnished hotel rooms and apartments after a busy day, or enjoy an excellent dinner in the Restaurant Michaelis. “Spend the night with an original” from the art collection of the Galerie Hotel Leipziger Hof. 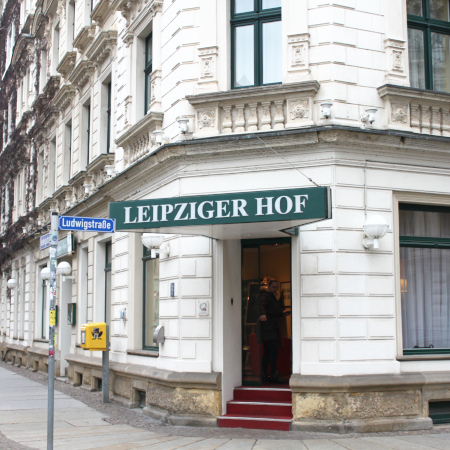 The hotel is located in a quiet residential area in the city’s Gründerzeit quarter, but the city centre and the campus are within walking distance. Besides the comfortable guest rooms, the hotel offers an art collection, a restaurant, a beer garden, and amenities such as a sauna, a gym, and a jacuzzi. 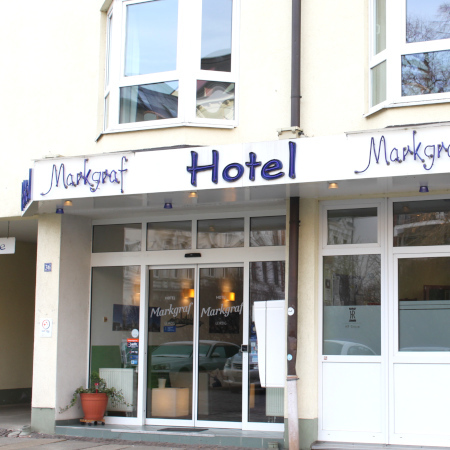 The Markgraf Hotel is a modern, charming hotel in the south of Leipzig. It’s located in a quiet area about 1.5 km from the city centre, but can be easily reached by car, bus, or tram. The homely, lovingly-decorated rooms and a freshly-made breakfast buffet contribute to the hotel’s welcoming atmosphere. 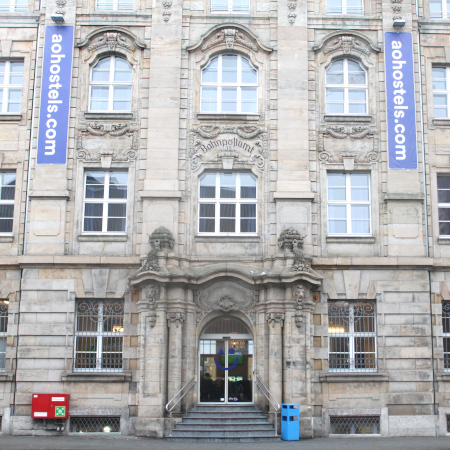 The a&o Hotel and Hostel is located 200 meters from Leipzig’s main station, in the former Reichspost building. It offers single, double, and family rooms as well as dorm rooms. The spacious rooms feature modern furnishings and a great variety of amenities (e.g. cable TV, free Wi-Fi). Apart from the 24-hour reception, the a&o has a lobby, a bar, a luggage room, a kid’s corner, and much more. The rates listed above include VAT and breakfast. The additional guest tax applies to both business and private stays. You will receive a confirmation with the hotel’s terms and conditions once your booking has been completed. If you cancel after 19 July 2019, the hotel may incur a cancellation charge of one hundred per cent. Leipzig’s main station is one of the world’s largest, with a new long-distance bus hub right next to it. Both are at the northern edge of the city centre. Leipzig’s city centre is mostly car-free but surrounded by a busy ring road. The car park Augustusplatz is located next to the conference venue. The nearest airports are Leipzig/Halle (LEJ), Erfurt-Weimar (ERF), Dresden (DRS), Berlin-Tegel (TXL), and Berlin-Schönefeld (SXF). Leipzig has a vast tram network, and the stop closest to the venue is Augustusplatz. Train times are available through Leipziger Verkehrsbetriebe and their ticket app easy.GO. Transport data in Google Maps is unreliable, but the Öffi app works great. If you prefer getting around by bike, the local bike-sharing company is Nextbike. We recommend using the pre-negotiated booking option above. If you are looking for alternatives, though, the following services are also available in Leipzig.